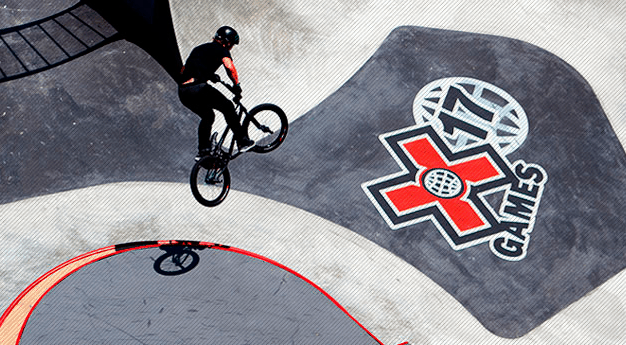 The X Games come to Barcelona! The X Games are happening in Barcelona from the 16th to the 19th of May 2013 converting this city, at least for a few days, into the capital of extreme sports. The event brings together the best athletes in the realms of Skateboarding, BMX (motorbike), Motocross, and Rally races for a few days of acrobatics, risk, and squirm-inducing spectacles. The city eagerly awaits the arrival of 350 participants from 42 different countries including important figures such as Shaun White, Travis Pastrana, Ken Block and Ryan Sheckler to name a few. With them come all the support staff, trainers, and sports media such as ESPN, who owns the televising rights to the event. That isn’t to mention the public – the nearly 120,000 spectators coming to the city to enjoy the extreme sporting. 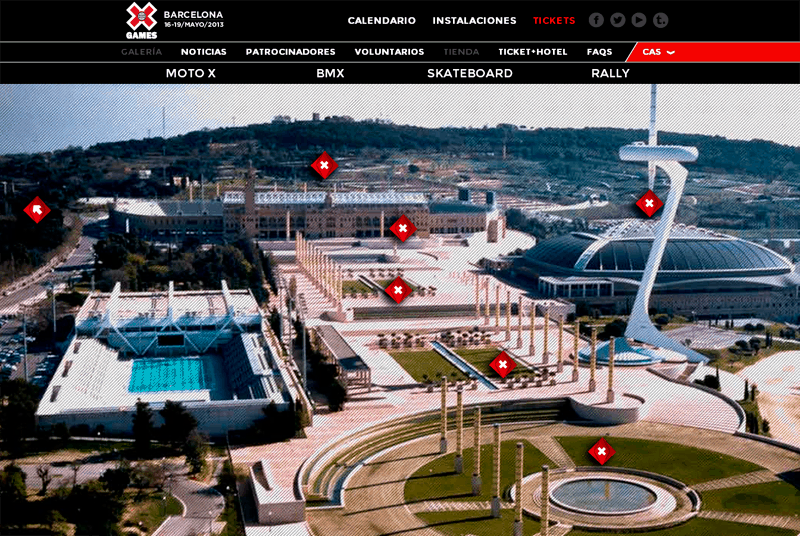 The X Games Barcelona will be celebrated at different locations around the Olympic Rings of Montjuïc. Here we have the Olympic Esplanade adapted to the X Games: Park and Street (Skateboard and BMX). At the Palace of San Jordi: Big Air (Skateboard and BMX) and the Motocross Area (Best Trick, Best Whip, Step Up); at the Municipal Pool of Montjuïc: Vert (Skateboard and BMX); and at the Olympic Stadium of Montjuïc of Lluís Companys: Dirt Track, Motocross (Freestlye, Enduro), and RallyCross. Check out the official website for prices, tickets, and hours of the X Games. Besides the actual games, there is a large area for fans and spectators in the centre of the city where local BMX riders and Skateboarders can learn and practice tricks. Other events surrounding the X Games include X Fest at the Olympic Esplanade, an open-air festival on Thursday and Friday that is open to the public. The festival continues in the same location as the X Music festival for ticket holders on Saturday and Sunday with performances by world-famous musicians and groups. 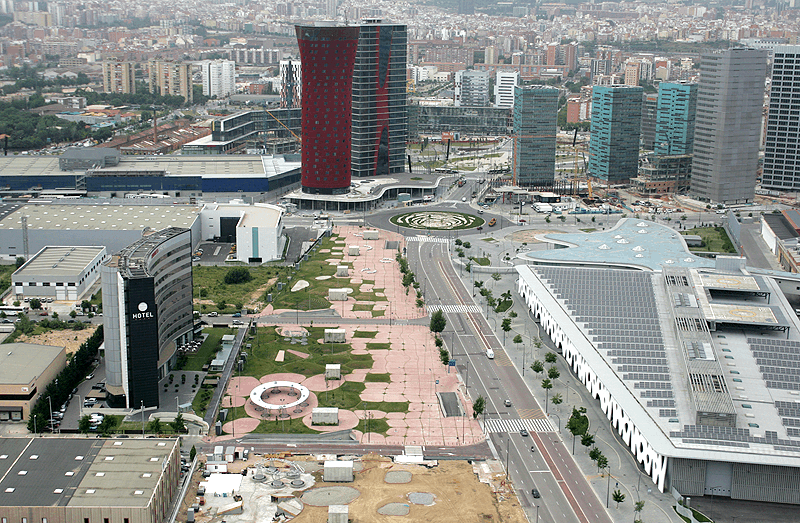 Barcelona is holding its breath in anticipation of these events and recalls the cities fond memories of the 1992 Olympic Games, a huge marker in the touristic and economic history of the city. 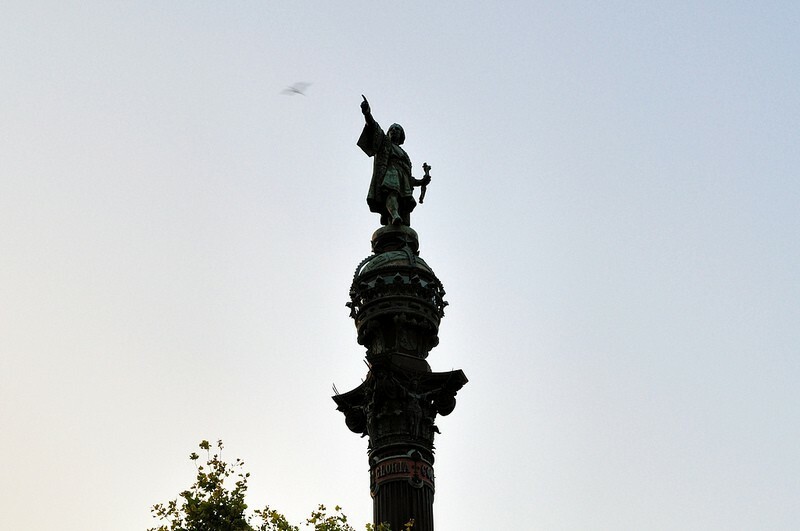 Though the X Games have been held in the United States with few exceptions in their 17-year history, Barcelona is being used as an entry point to tap into fans of the extreme sports in Europe and Asia. We are excited to share our Catalan with athletes, spectators, and ESPN viewers alike – let’s give a big welcome to the X Games!